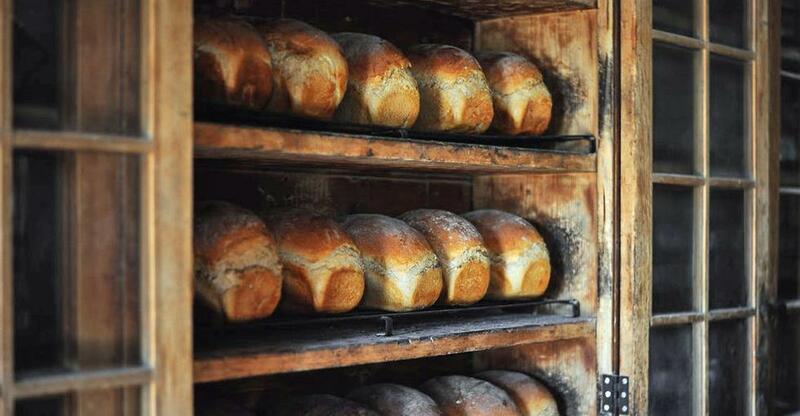 Bread is a staple of most people’s diets in South Africa, with almost every supermarket offering an in-store bakery. However, as the big companies dominate a large majority of the marketplace, entrepreneurs must be savvy if they’re to rise to the challenge of running a successful bakery business. Immigrants from Holland, England and other European countries introduced bread to South Africa, and baking was first established by Dutch settlers in the Cape Province, back in the 17th century. Bread was mostly baked at home, with only two commercial bakeries operating in 1880. There was an influx of immigrants to South Africa between 1900 and 1914, which stirred the growth of the baking industry. An Agricultural Marketing Act was accepted by Parliament in 1938 in a bid to stabilise agricultural industries. During this time, the Wheat and Baking Industries were tightly controlled; bread prices were kept as low as possible to ensure the staple food source was affordable to low income groups. The Act heavily controlled the price and quality of wheat, flour and bread; the intake, storage and distribution of wheat; and the restrictive registration of bakeries. However, in the 1980s there was an international trend towards liberalisation and free markets. South Africa’s bread industry was deregulated in 1992, which resulted in significant growth in the number of retailers operating nationwide. There is a skills shortage in South Africa’s baking sector, and despite the government offering funded training schemes, the level of skills resulting from these programmes is not meeting the high demands of the growing industry. Being a trained baker was listed as the third scarcest skill in retail, after retail manager and sales manager. Many large supermarket chains are offering skills programmes to encourage training in the baking industry. Another key challenge is for independent bakers to compete in the sector. Six companies dominate the baking industry’s market power, with 80% of the country’s bread production falling into the hands of four major baking groups. This can limit new start-ups in the sector, with some entrepreneurs hesitant to operate in a highly dominated and competitive industry. There are a number of industry specific groups in South Africa that bakery business owners can join. The South African Chamber of Baking (SACB) was established in 1938 and is a not-for-profit organisation. The group aims to promote all sectors of the bakery industry, especially training, and lobbies on government forums on behalf of its members. For those entrepreneurs breaking into the bread industry, the SACB is a useful organisation to join as it offers access to technical guidance, as well as advice on how to implement new legislation into your business model. The Small Enterprise Development Agency (SEDA) is another resource that can offer entrepreneurs business development and support services. The agency has been operating since 2004 under the Department of Trade and Industry, and promotes small enterprises nationwide to ensure their growth and sustainability continues to contribute to the country’s GDP. To be successful in the bakery business you must be able to endure 3 am starts and long working hours, with many businesses operating between 6 am and 4 pm, and some even choosing to extend their trading hours in a bid to stay ahead of the competition. Bakery owners should also be friendly, as you will be dealing with customers and suppliers on a daily basis, you must be able to build up a good rapport with your regulars. However, good service and quality products are sometimes not enough to survive in a competitive marketplace, you need to offer something unique. Finding a USP for your bakery business is vital. For example, offering traditional South African pastries and confectionaries could be a good way to distinguish your products from the mass-produced baked goods that the supermarkets offer. Setting up a business from nothing can be daunting for some; if so, then buying a bakery business could be the best route. Entrepreneurs can benefit from taking on a business that has an already-established customer base, and the equipment and infrastructure in place from day one. However, do your research; prospective buyers should review the businesses’ last three years of balance sheets and cash flow statements in order to determine the financial health of the business. As a buyer, you should also have a clear understanding of the bakery’s reputation, not only in the community and with customers, but also with suppliers and business employees. You can also contact the National Consumer Commission, as well as industry associations and licensing agencies to make sure there are no complaints against the business.